My kids will not ride in any other car seat! Best car seat and safest on the market! My son loves his new car seat. It is so comfy. It is super easy to adjust and very easy to loosen the harness when it's time to get out. I do wish it would recline just a little more so it wouldn't be so awkward when my son falls asleep. Purchased on sale for a great price, wasnt sure about the color? But it was more muted than the pictures. Which was a good thing for me. My daughter was using a handed down seat from her older brother and hated it! She would fight us every time we tried to buckle her in. Now with the new seat she climbs in herself!! Its so cushioned and comfy especially in the seat area. I don't mind the bright blue so much because she loves the chair which makes my life easier! ProsComfortable, easy to install, easy to use, tall enough for her to see out the windows (15 months). Buckle connections, kind of pop out when you press the button, making it easier to release the straps. ConsRecline is too deep, would have liked a midway recline option. Cup holder swivels and doesnâ€™t fit her cups easily. Best UsesMy daughter is 25 lbs and 15 months. Forward facing because she is so big and long. I felt safe having her I. This chair. It has metal bars to protect in case of accident. We love this seat! 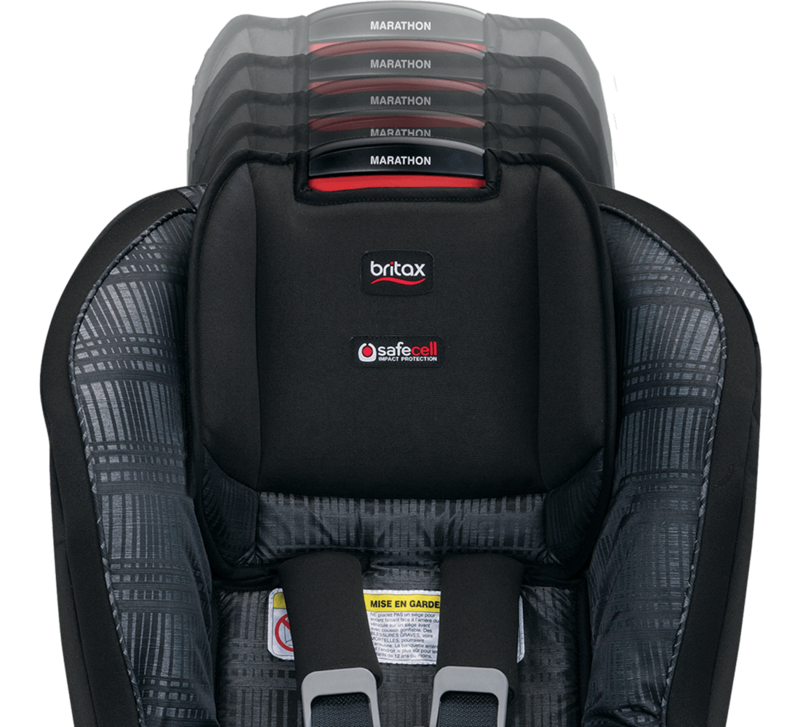 We started with the Britax infant car seat and decided to continue with the same brand. Installing was very easy (using LATCH system) and we like how the head rest adjusts without rethreading the straps. The extra cushion and cup holder was an added bonus. My daughter seems very comfortable in the seat and never fights us when getting strapped in. The pattern was a little bright for us but at this price we couldn't pass it up! The delivery from Albee Baby was super fast (2 days) and free shipping! Will definitely be checking back for other purchases. I have a 14 month old and we had the Chicco Nextfit and he hates it! He looks at it and doesn't want to go anywhere. So we went on the hunt again for a car seat and came across this one. I research a lot before ordering and we couldn't be happier. He LOVES it! He kicks with excitement when he sees it. We've went on long road trips and he's as happy as can be. Highly recommend!! Easy to install, love that you can adjust height with the push of a button! Great safety ratings! !...the only brand I'll biy gor my kids! And this comfort series is so soft! One week ago, I was rearended by a delivery van. My one-year-old son was in the backseat in his Britax Marathon car seat. I ran to get him--completely panicked and terrified--and found him contentedly sitting there, still drinking his bottle. This is one relieved mama. 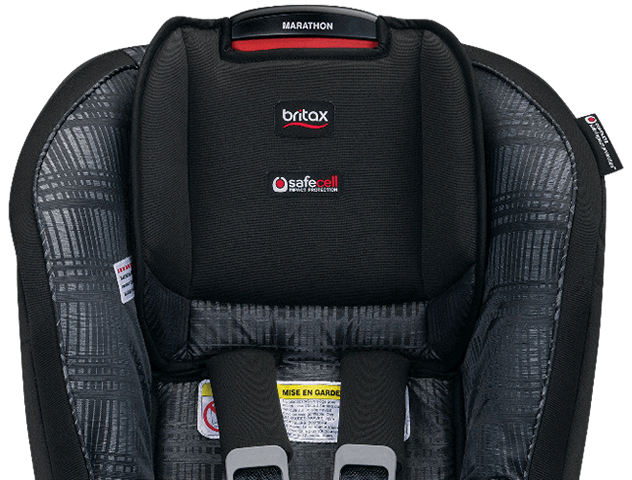 Thank you, Britax, for giving me peace of mind while my son and I are on the road! I truly appreciate your product! This car seat is extremely user UNFRIENDLY seat that i have ever encountered. The instructions are inadequate and installation is impossible. Wouldn't ever buy another Britax product. So far we have only had this for a month but are very happy with the Marathon. It is built strong and makes me feel that my child is safe. after removing our old infant/toddler seat and installing this unit I immediately noticed the difference in quality. My 2 1/2 yr old is very comfortable now and enjoys car rides. He falls asleep easily in the seat when sleepy, and getting him in and out is a breeze. adjusting the harness system was also very easy after reading the instructions. all in all this is one of the few products I am glad I chose, and would recommend this model to anyone who asks. We love this seat, the latches are really easy to install and remove. I've remove and put the cover back on numerous times for cleaning and it's very simple and easy to do. It's also a great extended rear facing seat my daughter is 2.5 yo and still has plenty of room to continue rear facing. I love the ease of adjusting the shoulder height. This car seat also fits great with other car seats for puzzling them in my backseat. We've had the car seat about a year now and the only negative thing is the white cording is fraying...other than that it's a wonderful seat. We love our marathon (except the colour - kiwi). Our daughter has sat very comfortably in it both rear facing and forward facing. The height adjustment is super easy. When we need to move the seat it is lightweight yet durable and the side bar is great for carrying from one vehicle to another. We chose the kiwi colour as it was bright and fun but dirty legs and hands (from dirt and food) quickly stained the seat and easily show. The seat is very sturdy and install is a breeze. Have had the Britax Marathon for about 2-3 years and just had an accident. We were rear ended on 95 at approx 60 mph and my 4.5 yr old is totally fine, not a scratch or ache or anything! I am soo thankful that we had a great car seat. It is also easy to transfer from car to car. 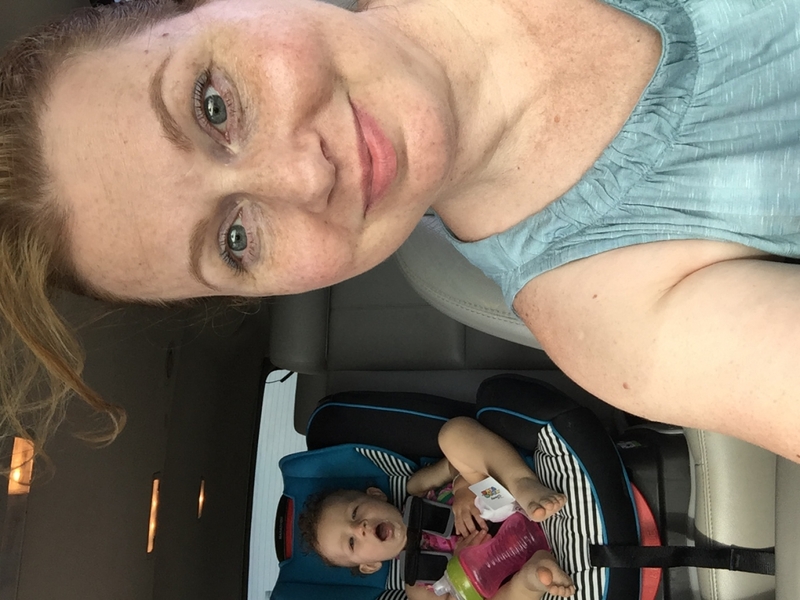 1st Convertible car seat success! This is our 2nd Britax seat for our third child. What an amazing product! Was easy to set up in our vehicle(s) in a variety of different securing situations (Lucas anchors/seatbelt). I was impressed with its construction and the materials used. Our newborn sat safely inside with minimal adjustments (baby is 3 days old at time of writing this). I would recommend this product to any nervous parent who wants the safest product for your dollar. I bought 3 different Britax car seats. The Marathon Roundabout, Marathon Click Tight and the Boulevard Click Tight. The Roundabout was the cheaper of the 3 by $90 but was lighter and easier to adjust. I found that the 2 Click a tight models would not loosen all the way, and yesterday my fatherinlaw complained it was too tight for my daughter. My favorite aspect of this car seat is the ease of installation. Our family spent 2 weeks traveling with no car of our own, which meant we were constantly transferring the children's car seats into different cars. The easy-on/off latch connectors made installation a breeze. I was confident the seat was secure and removing the seat was so much easier than with traditional latches. Do not buy this car seat!! My husband and I have been trying to make this car seat work in his new Jeep Grand Cheerokee and our poor son's head hangs down while sleeping. Also while he is sleeping his head bobs around while we are driving. We have tried the pool noodle and towels. So disappointed with the amount of money we spent that it does not work. DO NOT BUY! We purchased our Marathon a little over a month ago. We were extremely impressed with how easy it was to install and how well it fit into our vehicles. 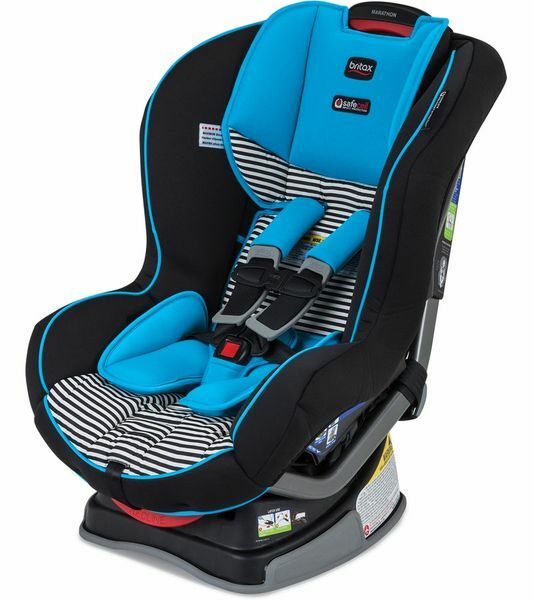 We are very impressed with this car seat and we would highly recommend it. We are delighted with the fit and ease this carseat provides. My daughter was closer to 8 months when we put her in an advocate, so seeing my newborn son in this seat is amusing, but I know I can trust its quality and safety. I bought this car seat when my son grew out of his infant car seat. I was immediately impressed with the amazing features this seat has, including soft, removable shoulder padding on the straps, as well as rubber buffers that help to keep the chest buckle in place. Even the crotch strap has a padded buffer strap behind it to make it more comfortable. The straps stay in place so well. It is comfortable and stylish. I bought this about 3 years ago based on reviews and recommendations. It is so worth the investment! It is simple to quickly take in and out of the vehicle when the kids need to ride in other cars. It is quick and easy to adjust the shoulder strap height when I need to use the seat for different sized/aged kids. I don't need to take the seat out and apart to do it. It's also easy to clean! I can take the whole cover off while it is still installed in the vehicle in order to wash it. I LOVE this seat! My two year old son is now using it. The kids are content in the seat and don't complain about discomfort. He calms down from out of the house tantrums when I strap him in and hand him his comfort you. He feels safe when he's secured in his seat. We have had the marathon carseat for a few years. I love how easy it is to install forward or rear facing, and how sturdy it is. Also, one of the best features is that the straps do not twist or tangle. This has been an issue with other seat we have used. It is also seems very comfortable. Only down fall is that there are no cupholders, which come in handy for older kids, but you can purchase an attachment. I received one as a gift and have used it for two kids. Love britax! I purchased this a few years ago for the safety features but it is difficult to install. I don't like that you need to put a towel or pool noodle under it to get it to stay at a good level. they should incline more. I bought this almost two years ago, and I still love it! The straps stay mostly in place for easy latching everytime. The velcro is great to hold straps open for loading. We needed a seat for our 4th child since our others had expired. i loved the cute pink and black floral pattern on this seat; I have gotten compliments on it. Cleans up very nicely, too! I have had the Marathon for 3 years. We have two boys and it keeps them safe in both in the car and in the air. We have used it several times on flights too. Easy installation and easy to get the boys strapped in and ready to go quickly. Love how well Britax products are made. This seat is so easy to install and with the steel reininforced frame it is very secure. My grandson loves it! The car seat is very comfortable. It is very easy to use. Love our Britax! Excellent quality and looks great to. I've been use this carseat for the last 10 months and love how easy it is to use. My son has had this Marathon seat since he was 1 year old. Very easy to install but yet very safe for him. The straps hug him nice and snug. The seat pad comes off for easy cleaning as well. I have had this car seat over w year and love it! It is easy to get my son in and out of. Easy to use and secure! I bought this car seat when my first child grew out of his infant car seat. When my second child did too, I bought a second one! I love these car seats. So easy to use and secure! We have had the same carseat for almost 3 years.. it has held up wonderfully. Other than a few wear and tear spots it's still looks new. It's safe and had great features. We love the tilt feature. How much does this carseat weigh? Thank you! SafeCell Impact Absorbing Tether minimizes seat rotation with a unique two-strap design and slows forward movement with Britax?s patented rows of stitching that ?give-way? one at a time in the event of a crash. 3 Recline Positions for your child?s comfort and safety.